Jury Duty: A New Perspective - An Honor, Not a Burden. 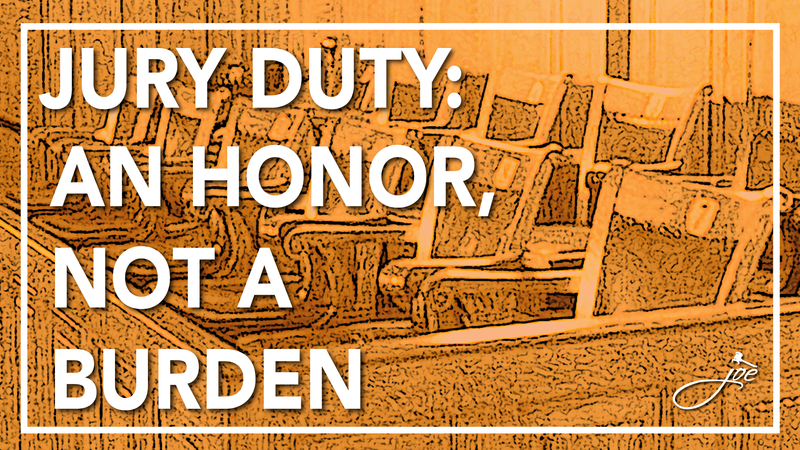 Jury Duty: A New Perspective – An Honor, Not a Burden. I had only been summoned for jury duty once, and it was right near the holidays a few years ago and in the middle of a couple of major deadlines. Needless to say I was irritated having to waste my Monday waiting around in a room with at least 200 of my fellow citizens feeling the same way. We were all trying to continue working in some capacity with all of our mobile devices. I did not get chosen to serve on a jury…. didn’t even make it to the first round of jury selection and was relieved to be back at work by noon. 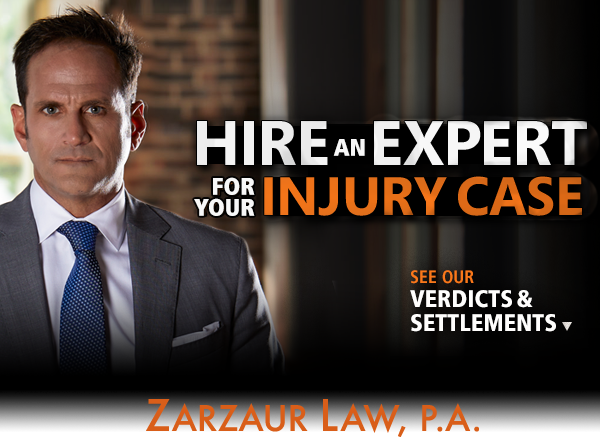 I work in a personal injury law firm, Zarzaur Law, PA, here in Pensacola, Florida. I have learned a lot about the law in the year and half I have been here, especially, the process and the time it takes to prepare for a case to go to trial. Prior to working at Zarzaur Law P.A. as the marketing manager, I worked in an ad agency…so I did not have a lot of exposure to law firms. I am fortunate to work for Joe Zarzaur, an award-winning board certified civil trial attorney, who is a part of only 1% of attorneys in the state of Florida with these credentials. Call it coincidence or perpetuity, but I received a jury summons as an employee at Zarzaur Law, PA. At first I thought this to be another burden, but then realized that I am getting to be a part of the judicial process. Since my job at the firm does not involve the practice of law, I was interested in being a part of the process. We all started sitting in a very large room where Pam Childers welcomed us and proceeded to have us take the oath. We were informed that all cases on the docket that week were criminal cases. Ms. Childers then went on to explain our obligation as a citizen of our state and our country. Our form of government calls us to service as be a part of the judicial process. It is important for us to be here to keep the process moving forward. We are helping the court fulfill its responsibilities and maintain our rights for due process. This is our judicial system to help resolve disputes. Cases can be resolved even while we wait and we are here willing to take time to participate in this democratic process. I never realized that some cases do get settled prior to going to jury, just because of our presence. Our role as jurors is to provide a fair, impartial and just decision based on facts received in case. All of this was certainly providing me an education first hand at what my firm does and must be prepared for. The amount of time and evidence that must be prepared is substantial. Also … it’s not like the TV show Law and Order – cases and trials could take as long as 6 months to a year to get on the docket. This is why having full juries are so important. We are final authorities on the facts, judge has final authority in the law. It felt overwhelming but exciting. You are no longer watching TV, this is real life. A big responsibility is expected of you, and I felt honored to be chosen. The experience is humbling, intimidating and empowering all at the same time. Judge and attorneys and defendant asking questions and awaiting to see who will be the panel to hear the case, weigh the facts and provide the verdict. We hold the power of democracy and fairness in our hands. We decide the fate of a person who is considered innocent until proven guilty. We actively uphold the law and its ability to help keep our country free from minority tyranny. While I was not chosen for the case, it was an unbelievable experience. I was actually disappointed not to be chosen. I just hope those that served on this jury were fair and in the end made the decision that is based on the facts. Jurors perform a vital role in the American system of justice. … Jury service is a high duty of citizenship. Jurors aid in the maintenance of law and order and uphold justice among their fellow citizens. Their greatest reward is the knowledge that they have discharged this duty faithfully, honorably, and well. Jurors perform a vital role in the American system of justice. The protection of our rights and liberties is largely achieved through the teamwork of judge and jury who, working together in a common effort, put into practice the principles of our great heritage of freedom. The judge determines the law to be applied in the case while the jury decides the facts. Thus, in a very important way, jurors become a part of the court itself. I challenge you to re-think jury duty the next time you receive your summons and not look at it as a burden, but as an honor and a right as a part of our Democratic society.